FOR LAST-MINUTE GUESTS WE HAVE ADDITIONAL SMALL ROOM SUITABLE FOR COUPLES, SEND EMAIL FOR DETAILS! Our newly-renovated apartment of 80m2 with balcony of 20m2 with a magnificent view of the sea and island of Lokrum, near Old Town. Apartment is comfartable, bright and airy. 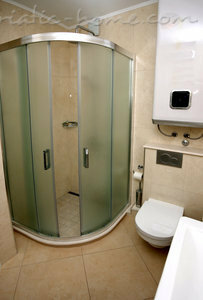 Located in a quiet part of town with free parking space for guests, only 10 minutes walking down stairs to Old town. 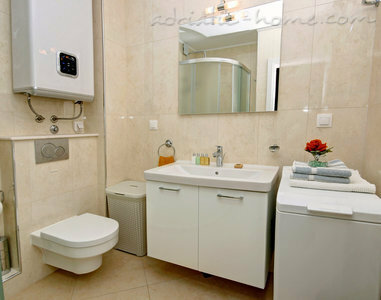 a modern bathroom with comfortable shower, another half bathroom (toilet, sink), a well-equipped full kitchen and a living room with dining area. 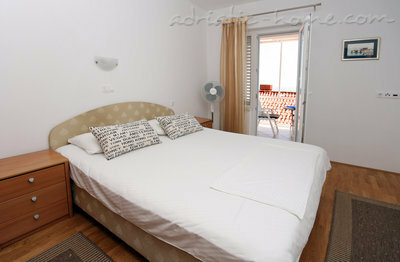 The living room and double bedroom open into a large balcony where guests can relax and take in the wonderful views. Amenities include air conditioning, satellite TV, DVD player, washing machine, free wireless Internet, coffee maker, kettle, microvawe, hairdryer, iron/ironing board, sofabed that can sleep 1 guest, baby cot on request and 2-3 parking spaces. 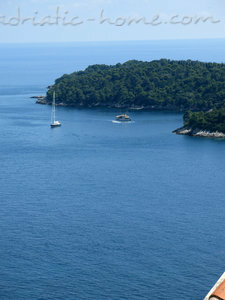 We only stayed 2 nights en route to Hvar which wasn't long enough. We were warmly welcomed by Mario and Dube, offering us a drink at their place on arrival while the gave us the lay of the land. The apartment is located close to the old town and is modern, spacious and well equipped (even had a kettle which is a rarity in these parts!). As for the view - WOW!! I stayed in apartment DUBY for 4 nights in early September 2013, with my partner and in-laws from England. 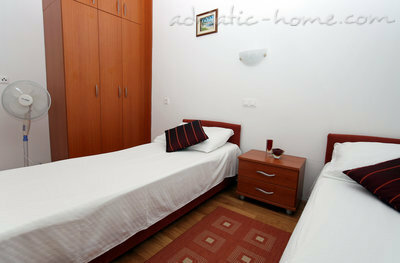 The apartment was immaculate, comfortable and clean, with a home-like feel. It has everything you may need for a nice stay. 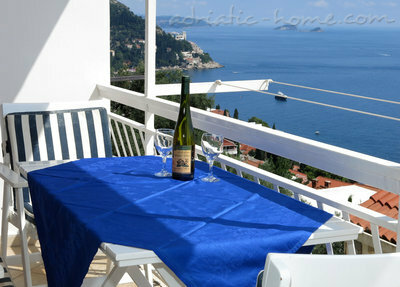 The terrace has a beautiful view of the old town, sea and the island of Lokrum. The hosts were full of local insights and very, very welcoming; and took care of all our needs. They gave us a lift from and to the airport, offered traditional coffee on arrival and on our last day, as well as the Croatian traditional brandy called Medica ;-). 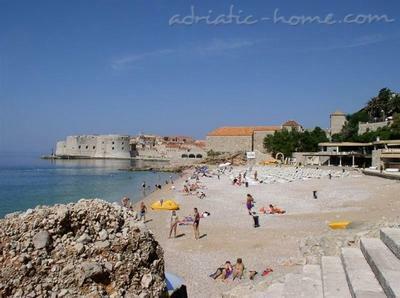 I would highly recommend DUBY to anyone wishing to have a nice and relaxing break in one of the most charming Adriatic old cities. Отдых в Дубровнике у Марио! Отличное место для отдыха, моя семья получила огромное удовольствие находясь в этих прекрасных апартаментах и в этом очень уютном и красивом месте. Немного было высоко, но всё это окупалось отличным видом на Локрум и море. Марио и его семье спасибо за гостеприимство! С уважением, Виктор и вся моя большая семья. 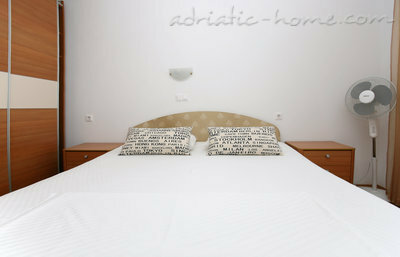 Everything in the adriatic-home website is true. We join the reviews from Sydney Australia and Ålesund Norway. The hosts were extremely nice and helpful and we will definetely recommend the apartment to all our friends! We had a very good time in Dubrovnik, and our boys counted the stairs from the apartment to the old town to be 419 steps. A nice walk after a good dinner.. The service and the friendliness of the owner was excellent. 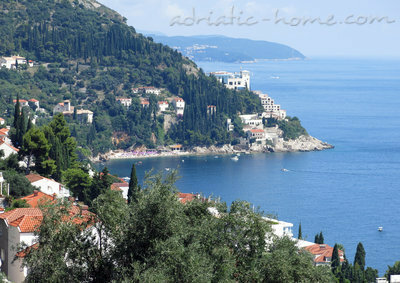 We got all the information and help we needed after our booking on Adriatic-Home.com website and during our stay in Dubrovnic. Owner also picked us at at the airport and helped with the luggage. The apartment was comfortable. 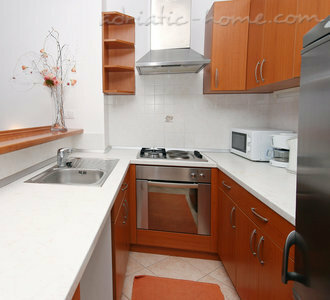 It was a lovely, clean and spacious 3 bedroom apartment with a big balcony and a beautiful sea view. So nice to eat breakfast outside on the balcony every morning. We had a free well working internet connection and air condition in the apartment and a small supermarket very close so we had everything we needed. Just a few minutes walk down the stairs to the old city with bus connecton, plenty of restaurants etc. 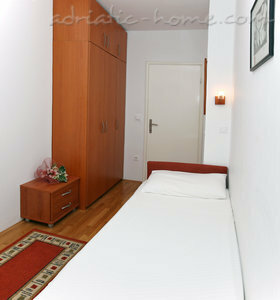 We would recommend this apartment at any time to our friends! Fantastic apartment in Dubrovnik. Mario and his family were extremely hospitable and kind hosts. Very, very nice, extremely friendly, informative and accommodating owners. The apartment was spacious and very clean. 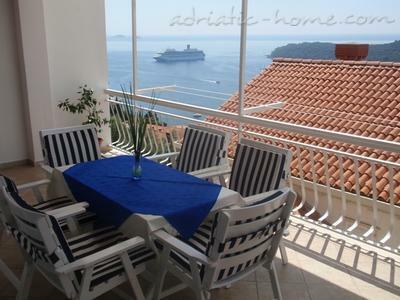 The outside balcony area is wonderful, with a lovely outdoor setting and great views to Lokrum island. 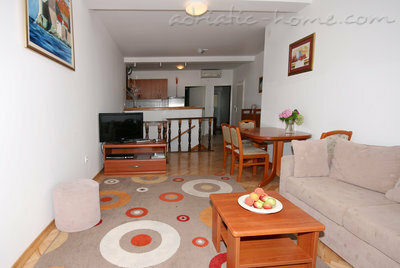 The apartment is in a nice, quiet location, away from all the hustle and bustle of cruise ship and bus tours. There are quite a few steps from the apartment to the Old Town, but you get used to the climb. Anyway,there is no avoiding steps in Dubrovnik! 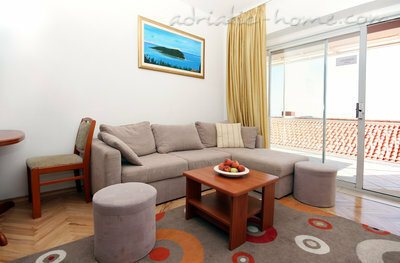 This apartment has everything you need for a perfect holiday in Dubrovnik! Highly recommended! 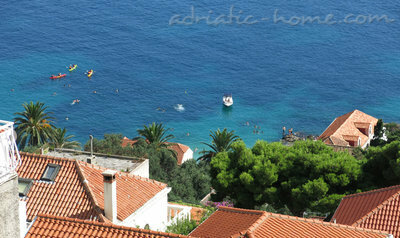 Next time I visit Dubrovnik I look forward to staying here again.